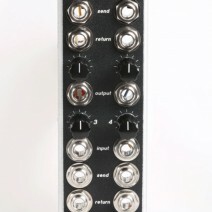 The 4X instrument interface provides FOUR discreet channels in one 5U modular space. 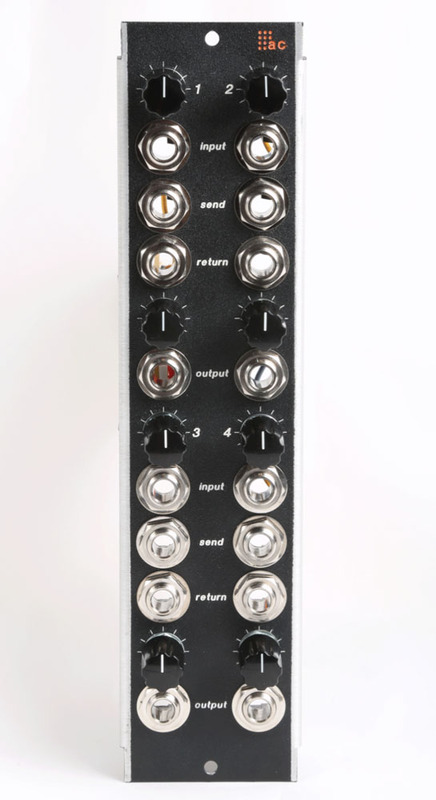 Each channel has an attenuator for bringing a modular signal level to instrument level and then a 100x gain stage for bringing the instrument level back to modular level, and beyond… sweet. 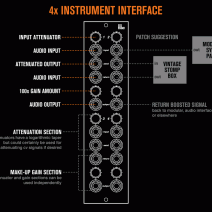 MOTM 300 VCO in to 4X out to vintage Maestro Phaser back into the 4X and then out to an amplifier. 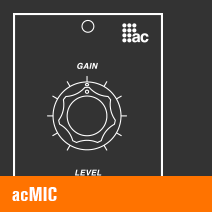 MOTM 300 VCO shown first with just attenuation. 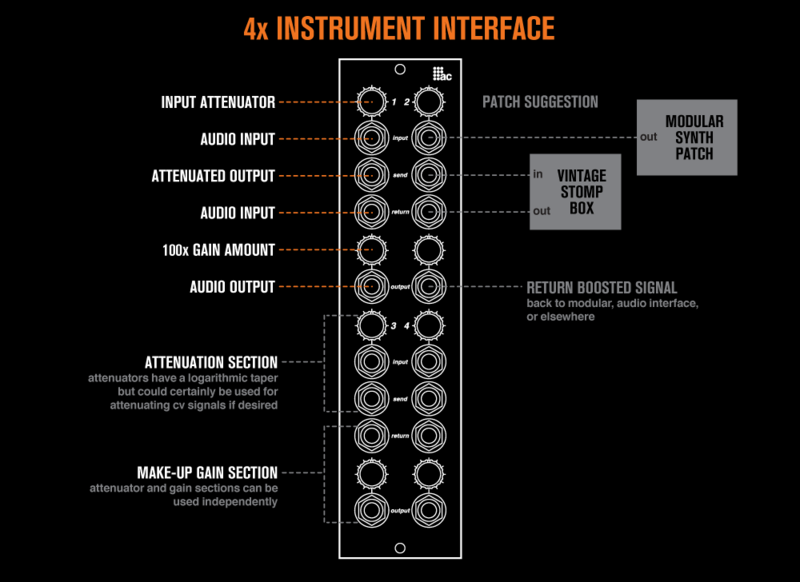 Then out from the 4x into a Maestro Phaser pedal and back into the 4x with various levels of make-up gain.